Lake Merritt Park in Oakland was established as North America�s first wildlife refuge (for waterfowl) in 1870, two years before Yellowstone Park - but is Lake Merritt strictly for the birds? Through 200 color photographs, including insects from 8 Oakland Parks; and 5 East Bay Regional parks, trails and shorelines, readers will learn about Oakland�s lesser known inhabitants - The Insects. 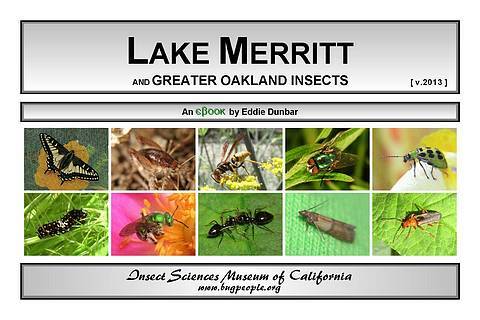 The Insect Sciences Museum of California is proud to help further Oakland�s legacy of environmental leadership by offering Lake Merritt and Greater Oakland Insects.